Smartphone adoption in the U.S. has reached almost 50% of Americans. 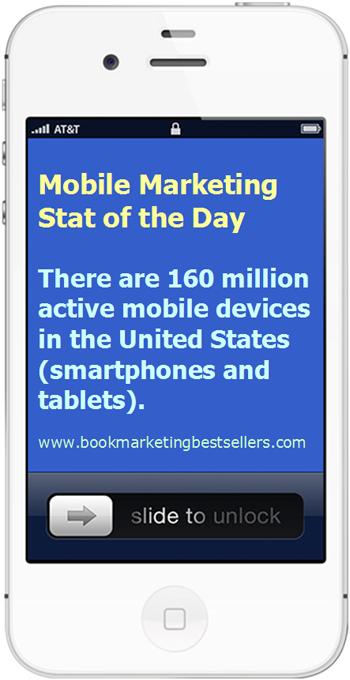 There are 160 million active mobile devices in the U.S. (smartphones and tablets). How big is the market for mobile marketing? 160 million strong in the U.S. alone. Millions and millions more around the world. Now, you won’t reach all of those smartphone users, but why not make it easy for them to find you and access your website for information, sales, or service? The size of the market is now too large to ignore. Make sure your website and emails are mobile ready!